A man arrested in North Carolina on suspicion of murdering his toddler stepson, who was reported missing from a Balboa Park-area playground 14 years ago, waived extradition Tuesday and will be returned to San Diego within 30 days. Tieray Dawayne Jones, 37, was taken into custody Monday in Rocky Mount on suspicion of killing 2-year-old Jahi Turner, and whose body has never been found. Authorities declined to disclose what led to the belated arrest in the high-profile case, which had proved so devoid of developments that it began to seem to be one that likely would never be solved. The suspect reported the youngster missing on April 25, 2002. At the time, he lived in a Golden Hill apartment with Jahi and the child’s 18-year-old mother, Navy sailor Tameka Jones. The stepfather told police he had brought Jahi to a park at Cedar and 28th streets, left him with a woman and several other children to get a soda from a nearby vending machine and returned to find them all gone. Authorities at the time declined to comment on news reports that Jahi possibly had not been to that playground at all that day and that the suspect had reportedly failed a lie-detector test. The boy’s disappearance prompted weeks of intensive searches of canyons, fields and neighborhoods in the area, as well as a grueling weeklong sweep of the Miramar Landfill. The efforts turned up no evidence regarding what had become of Jahi, who soon was considered a probable homicide victim. Seven months after the child vanished, his stepfather was arrested by a bounty hunter in San Diego and taken to Maryland to face unrelated drug charges. 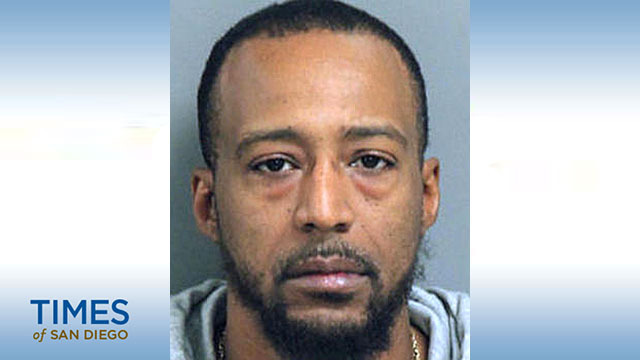 In 2006, Jones pleaded no contest to an assault count stemming from a shooting in that state and was sentenced to five years in prison, according to the Frederick News-Post.